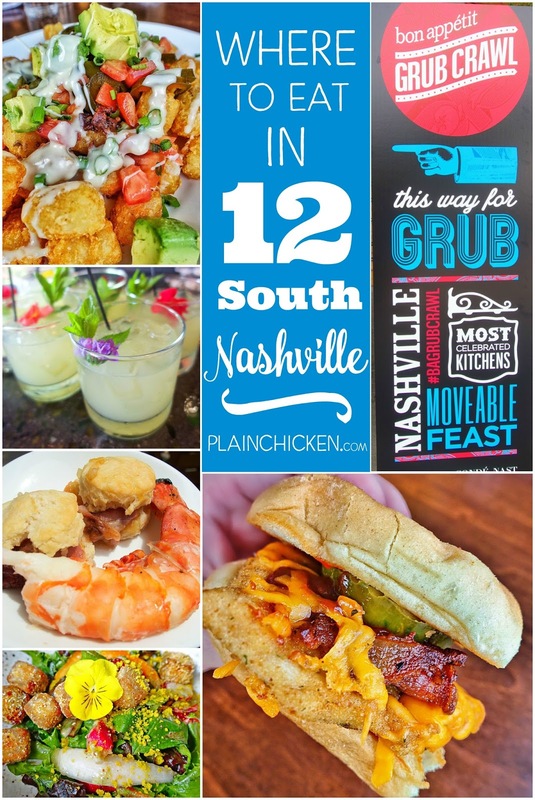 Last month we went up to Nashville for the Bon Appetit Grub Crawl. There were two crawls - a day and a night crawl. We sent on the day crawl in the 12 South neighborhood. We went to 4 different restaurants and had a delicious time! 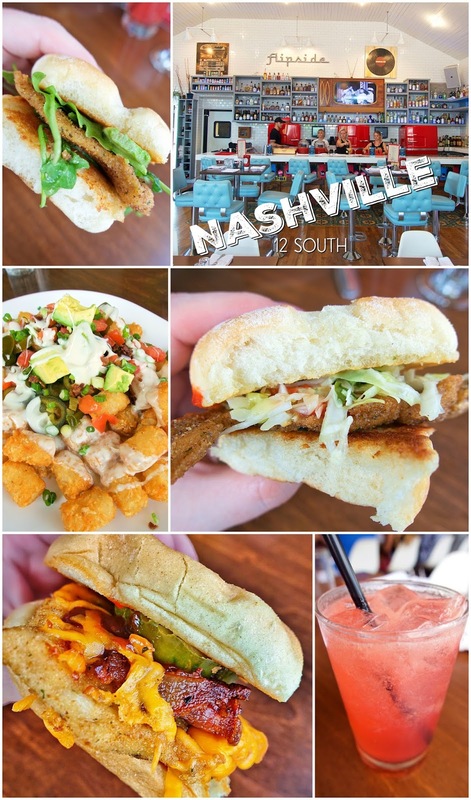 We ate and drank for all day and found a few new must try spots. Our first stop on the Grub Crawl was at Urban Grub. 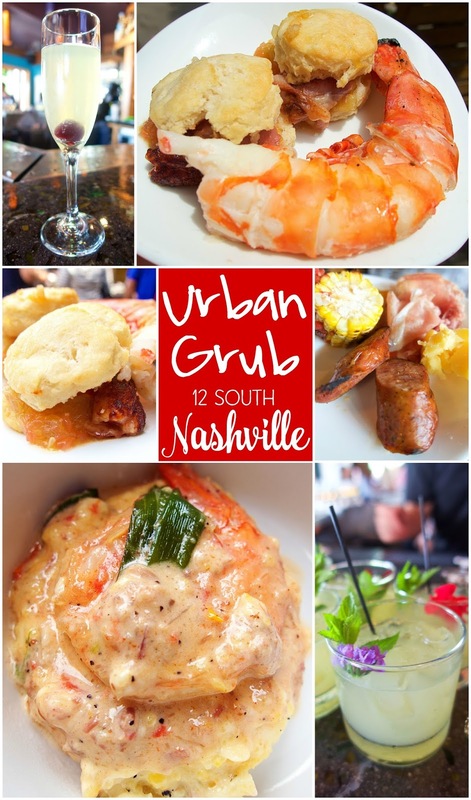 Opened in 2012, Urban Grub is an indoor-outdoor casual fine dining spot located in a renovated carwash in Nashville’s 12 South district. With dishes including homemade charcuterie, fresh fish and dry aged steaks—Urban Grub has something for everyone. We were served an array of delicious food. The Lamb Biscuits and Shrimp & Grits were amazing! I stuffed myself full of country ham, prosciutto and cheese. SO good! 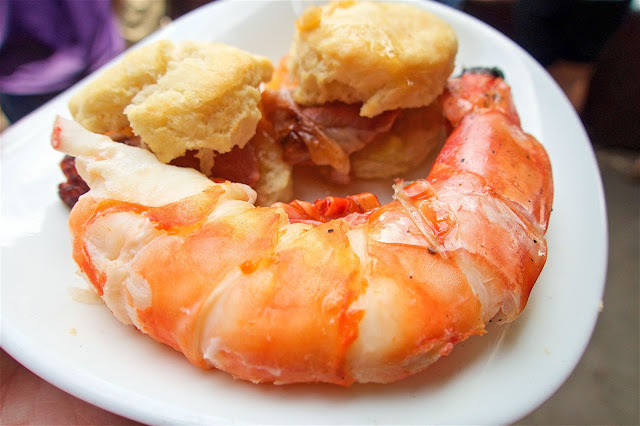 Look at that prawn! O-M-G! It was cooked in banana leaves and was crazy big. It was definitely a crowd favorite! We are definitely coming back sometime for dinner. Such a fun place! The second stop was at Epice. 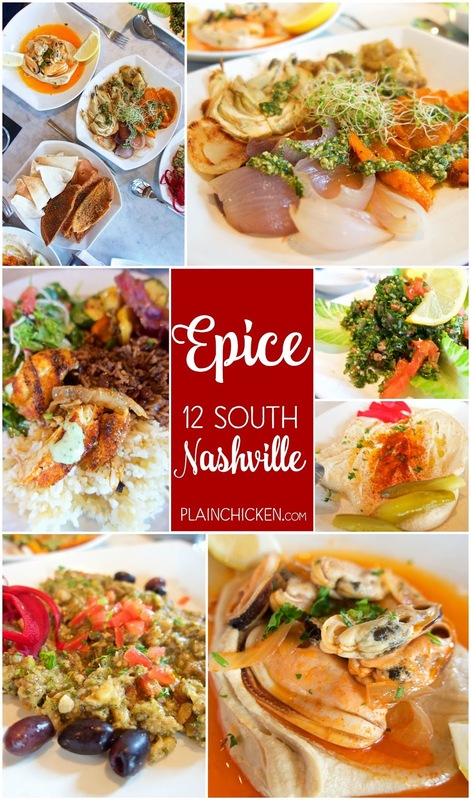 Epice is a neighborhood bistro serving simple and authentic Lebanese foods that are reflective of Lebanon’s flavorful Mediterranean cuisine. Derived from the French word for spice, Epice is inspired by the ambrosial spices and herbs ubiquitous in this healthful cuisine. I could have eaten my weight in their hummus. It was incredibly delicious. 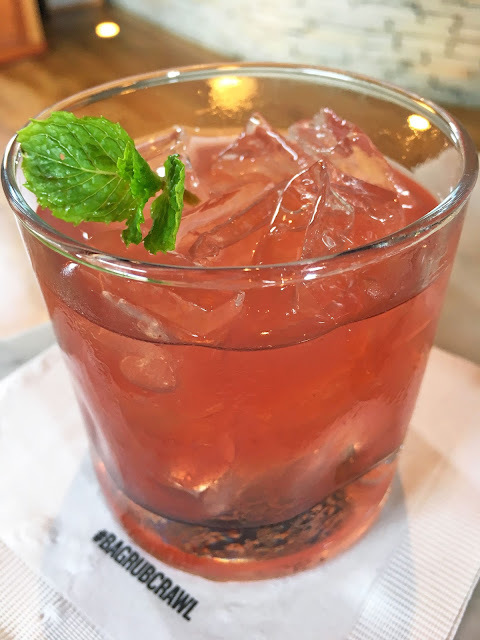 They served a bourbon and raspberry cocktail that was AMAZING! I LOVED it! Worth the trip! The third stop on the crawl was at The Flipside. It was my favorite stop! Husband and wife, Jason and Libby Sheer, opened The Flipside in 2014. The menu features Jason’s grandmother’s amazing pan sautéed chicken recipe, topped 21 different ways—and the crowds haven’t stopped coming. The interior is decorated in a fun 50s retro style with old tv shows playing on the TVs in the bar. 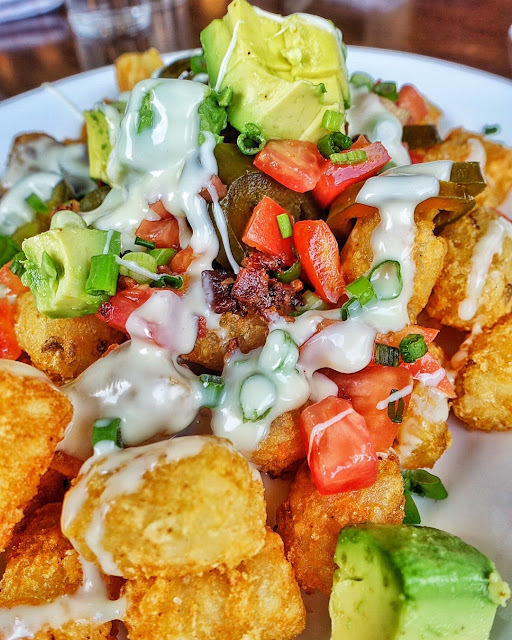 We we started with the Tater Tot Nachos - tater tots topped with queso, avocado, tomatoes, bacon, jalapeños and green onions. YUM! Next we sampled three of their most popular chicken sandwiches. Greenway - chicken topped with arugula, avocado and red wine vinaigrette. Memphis - chicken topped with BBQ sauce, bacon, cheddar, and pickles. This was my favorite. Phuket - chicken topped with peanut butter, sriracha and Thai basil slaw. The Tater Tot Nachos deserve one more look. SO good! I've seen pictures of their Bloody Mary and it is insane. We will definitely be back very soon! The final stop on the crawl was at Josephine. Opened in 2013, Josephine is a contemporary restaurant featuring American farmhouse cuisine. Chef Andrew Little focuses on simple, classically composed recipes accompanied by a small but carefully selected wine list, in a soft industrial space that emphasizes a sense of home. We were served two courses. 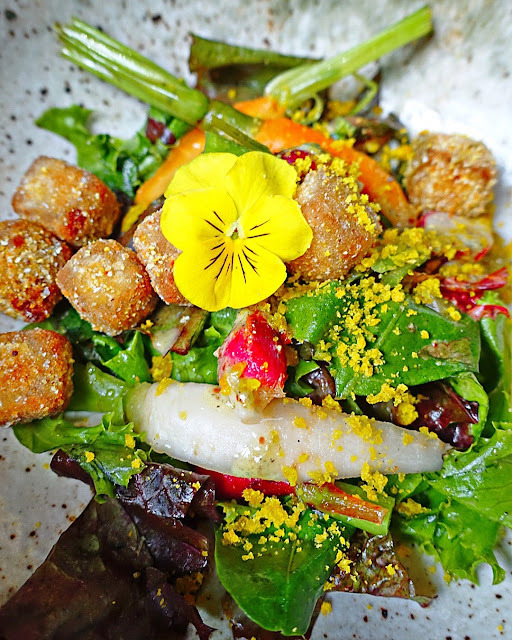 First up was the Salad of N09 Vegetables - it had scrapple croutons, cured egg yolk and lavender. This was our first time trying scrapple. It might be our last. 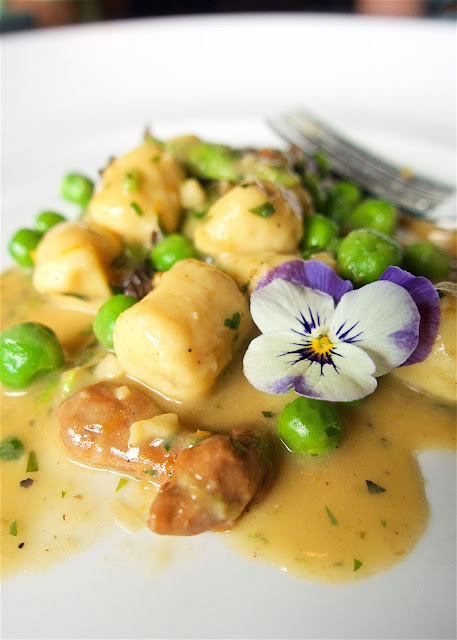 The second course was Gnocchi with peas, asparagus, smoked mushrooms, sorghum and citrus peel. 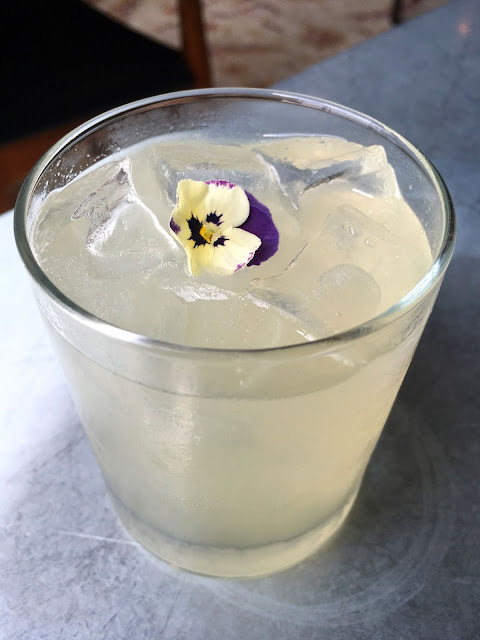 This is called Pocket Change - Vodka, lemon, fruit, simple syrup, bitters. We need places to check out on our next weekend trip! I think I might never have made it out of Urban Grub.